A volcano in southwestern Japan erupted Thursday for the first time in 250 years, the weather agency said, warning of flying rocks and pyroclastic flows in the area. The eruption of Mt. Io, one of the Mt. Kirishima group of volcanos straddling Miyazaki and Kagoshima prefectures, came after Mt. Shimmoe, another volcano of the group, erupted violently for the first time in about seven years on March 6. Mt. 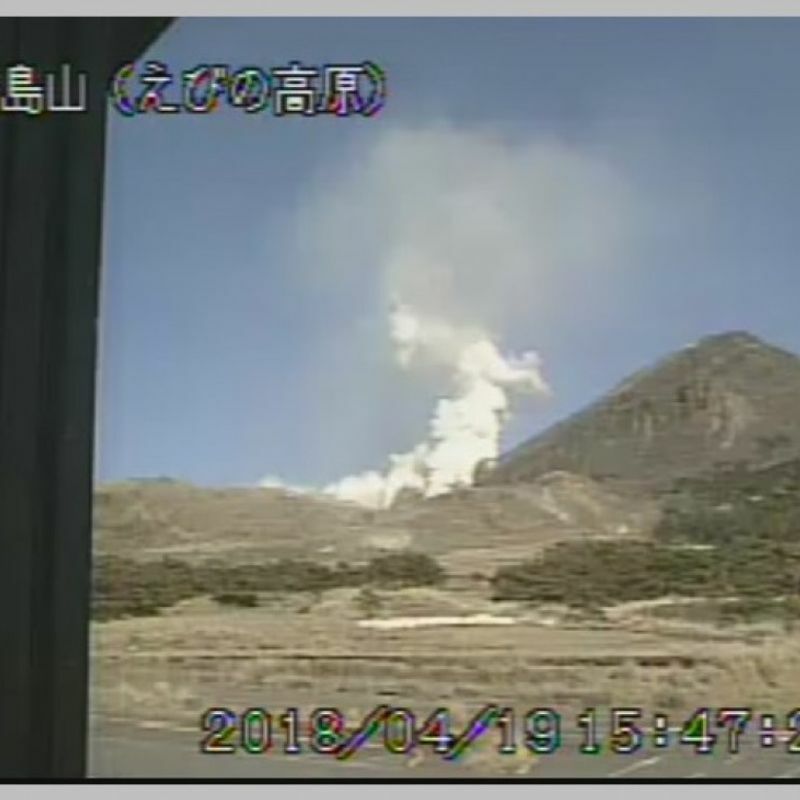 Io erupted around 3:40 p.m. and a plume of ash spewed from the 1,317-meter volcano's crater reaching about 300 meters into the sky, the Japan Meteorological Agency said. According to the agency's Miyazaki bureau, Mt. Io in Ebino, Miyazaki Prefecture, erupted for the first time since 1768. The agency restricted access to the mountain and its vicinity by raising the alert level to 3 from 2 on a scale of 5, the highest since the measure was applied to the mountain in 2016. The agency also warned of the risk of large flying rocks and pyroclastic flows in an area within about 2 kilometers of the crater, while the municipal government of Ebino in Miyazaki restricted entry into the area. The agency confirmed an increasing number of volcanic tremors at Mt. Io in late February, raising the alert level to 2 from 1 and warning against approaching the crater. At Mt. Shimmoe, another powerful eruption was observed on April 5, with ash spewing up to around 5,000 meters high. The agency said in March the 1,421-meter-high volcano was expected to continue explosive eruptions for several months or more.